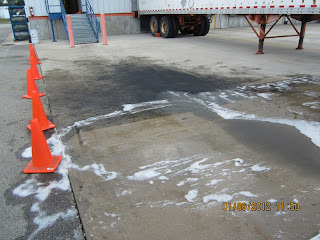 Oil Stain On Concrete? EATOILS™ BT200™ To The Rescue! Do you have one of these? BT200™ can help. And After The Work Was Done, This Is What It Looked Like – CLEAN AGAIN! Sam Furman and his crew at The Ground UP in Loves Park, IL are used to working hard and have lots of experience cleaning some of the toughest jobs in their area. 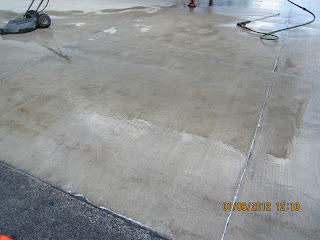 Last spring Sam started working with us and began using our EATOILS™ BT200™ for removing oil stains from concrete. Recently, Sam dropped us a line with these pictures to show some examples of the types of work he does and how well our BT200™ performs for him. Thanks for the pictures, Sam – BT200™ really did the job for you. For more information about this product or to buy some today, click here.